Aspire Early Childhood Consultancy was founded by Michelle Woszatka who is also the principal consultant. She is a wife, mum of four and grandmother of one. Her experience as both a parent and professional has provided a solid foundation for her work as a consultant. Hi everyone, I’m Michelle an Aboriginal woman born in Eora Nation, Gadigal Country and growing up in both Gadigal and Dharug Country. I’ve lived in the Wandi Wandean lands since December 1995 on the NSW South Coast. I’m the daughter of an Aboriginal Dharug man whose mother and grandparents where born on the NSW South Coast and who spent time both there and in Gadigal country. Mum is a beautiful non-Aboriginal country gal born and raised in central NSW. My heart is to make a difference in this world so that ALL children can grow up strong, happy and healthy. 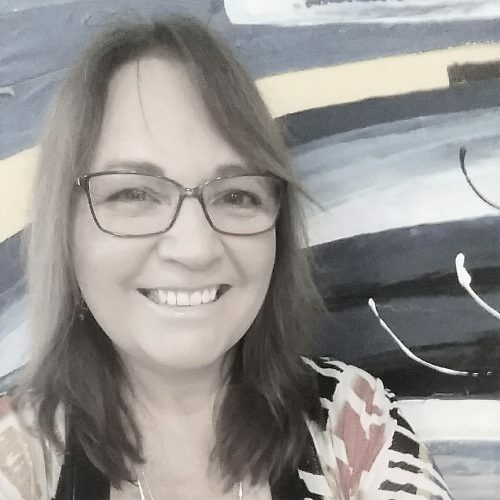 Michelle’s 29 years experience working with children, families and as an educator include; ‘assistant’, teacher, director, Aboriginal advisor and area manager in a range of early childhood services, including a family day care provider and validator. Michelle has also worked casually as a teacher in the early years of school, TAFE and UNI. Michelle’s experience also includes; Facilitator of Parenting Groups, Supported Playgroups, Community Development and Program Manager in Family and Post Separation Services and Early Childhood Learning. Prior to Michelle’s Early Childhood focussed experienced she worked for 7 years in administrative roles. 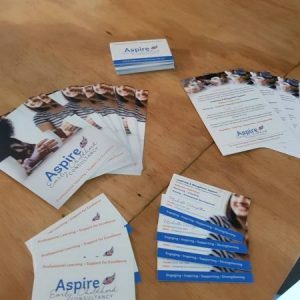 Aspire Early Childhood Consultancy is located on the South Coast of NSW and was borne out of a desire to share experience and knowledge with other early childhood educators and services. Michelle’s heart is to ENGAGE, INSPIRE, SUPPORT and STRENGTHEN you and your team in your continuing journey that will lead to the best possible outcomes for children, families and communities. Over the past 29 years Michelle has built a reputation for her strengths as a leader, teacher, mentor and coach modelling high quality practice for others and empowering others as they work with young children and their families. 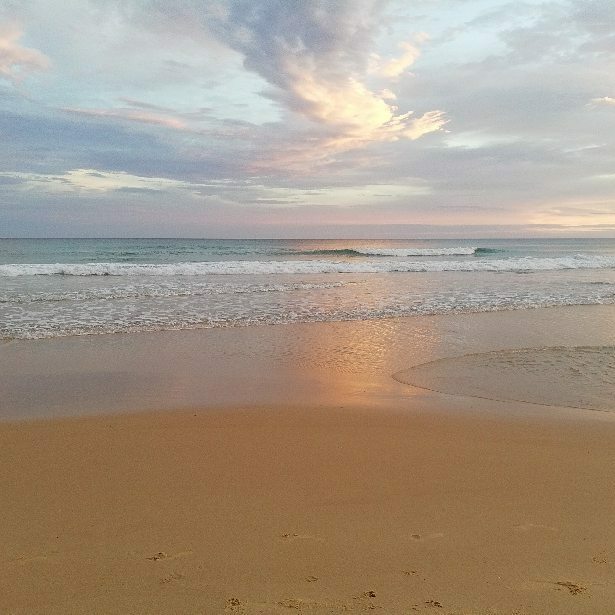 We work with individuals, teams and management of both small and large services in the Illawarra, Shoalhaven, Eurobodalla and Bega Local Government areas. We are also available to travel throughout Australia to support you and can provide face to face, skype, online or telephone services. Call or message us to discuss your unique needs. Our logo was developed to include aspects of my culture and as an analogy of the purpose of Aspire Early Childhood Consultancy. The orange and blue colours were chosen to reflect the sea and the land of which I love to spend time by the river and ocean, and to admire the beautiful natural environment where I live. The leaf symbolizes growth as well as support. Did you know the primary purpose of the veins within a leaf is to carry food and water throughout the leaf? They also provide support for the leaf. This is what we aim to do at Aspire; provide opportunities for growth and support through consultancy and professional development that will feed and sustain you in your important work with young children, families and communities. Each different colour within the leaf also depicts different aspects of the business. You will see each section is not perfectly equal in size and shape. Each individual staff member, team, service is unique in it’s characteristics, personalities, culture, experience and knowledge. We do not provide a one size fits all service. 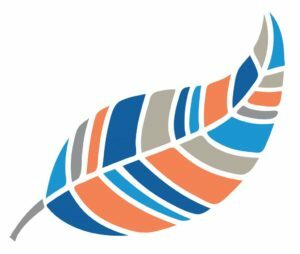 Our service like a leaf is supportive, encourages growth and sustenance so you are well equipped to fulfil your goals in your life and work. Aspire Early Childhood Consultancy provides High Quality services for Early Childhood and Family Support professionals and services underpinned by the National Quality Framework and Family Support evidence based best practice guidelines. Our High Quality Leadership and Management Support, Reflective Supervision, Mentoring, Coaching, Professional Development & Training services are tailored to your unique service and needs. We listen and work with you collaboratively to meet your goals using a solution focused, strengths-based approach.